fireSLEEVE from Exotac now in store. 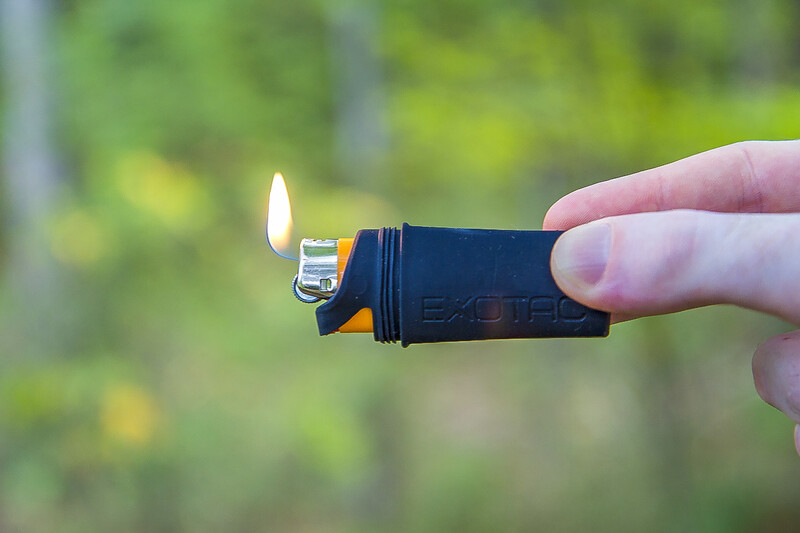 The waterproof protective fireSLEEVEs cases from Exotac to protect your Bic Lighters when you are out and about on your travel adventures. The Bic lighter. Inexpensive, widely available, and functional but not particularly rugged, until now. 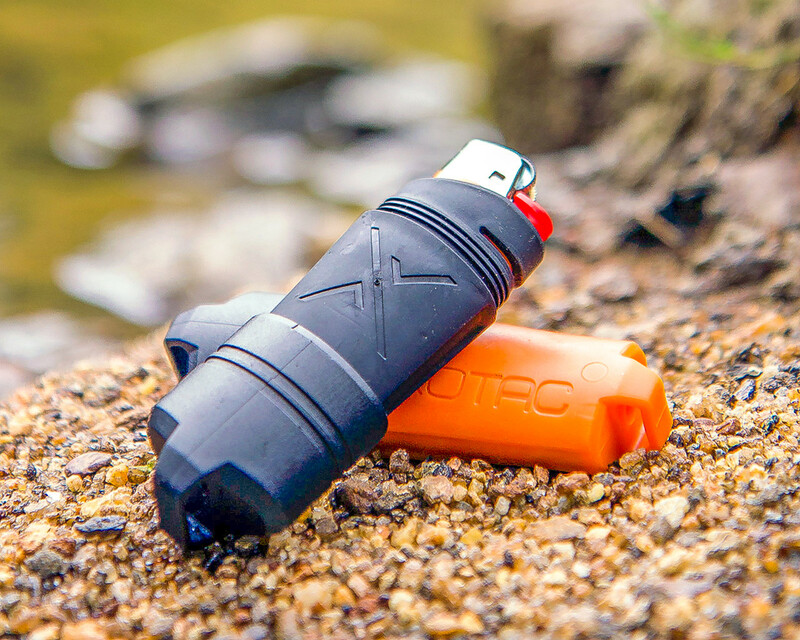 The fireSLEEVE added to a Bic lighter turns it into a a rugged protective cover for any outdoor use scenario, whether hiking in the rain or riding rapids in a canoe . 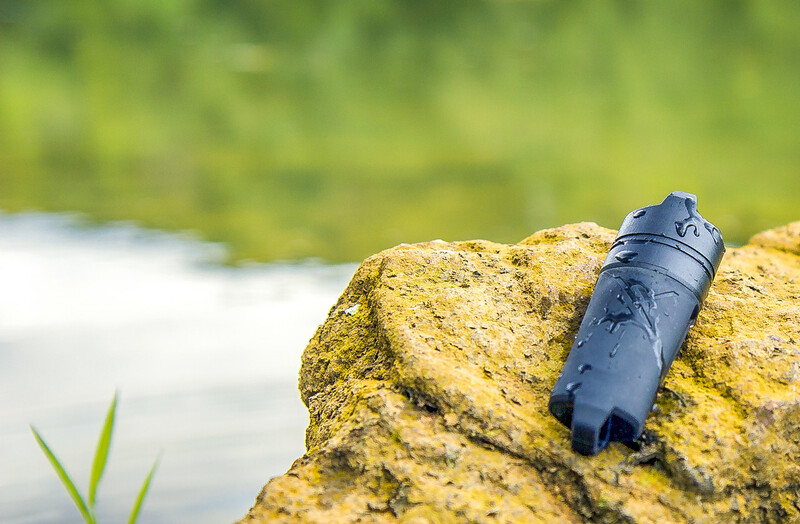 Fitting over your Bic lighter like a glove, the fireSLEEVE protects the gas button from being pressed accidentally in your pocket or pack and renders the lighter waterproof to 3 feet for 30 minutes. Part of the sleeve; the gas lock. Can be placed on the lighters gas release button to allow using the lit lighter for extended periods of time without burning your fingers. Add the fireSLEEVE and your Bic will float. It improves grip, and boasts a gas lock which holds the button down for you. When the lighter inevitably runs dry, just slide it out of the sleeve and pop in a new lighter. There are lanyard loops on both the main body and the lid of the fireSLEEVE allowing you to tie it to yourself keeping it safe and secure how ever rugged you adventure becomes.